When the LGM-30F Minuteman II ICBMs were retired, a lot of high-performance solid-fueled rocket motors became available. These motors (Thiokol M55 first stage, Aerojet SR19 second stage and Hercules M57 third stage) were used to create a variety of low-cost suborbital launch vehicles. The Lockheed Martin PLV (Payload Launch Vehicle) and Coleman Aerospace Hera are both two-stage missiles using the 2nd and 3rd stage of the Minuteman II. 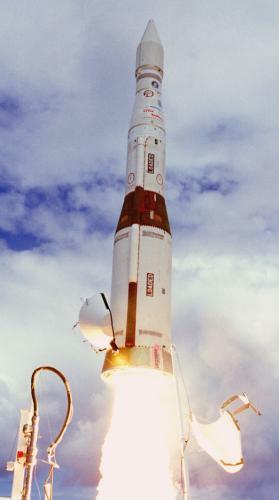 The contract for the Hera ballistic target missile was awarded to Coleman by the U.S. Army Space and Strategic Defense Command in 1992. The Minuteman II motors were fitted with a new guidance and control system, an instrumented reentry vehicle, and other minor changes. A total of 25 Hera missiles have been built, and the first launch occurred on 24 April 1995. Until the time of this writing, 23 Hera missiles have been expended, mainly as targets for tests of the Army's THAAD and Patriot PAC-3 anti-ballistic missiles. 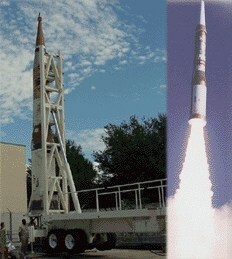 Lockheed Martin's PLV was built as an interim launch vehicle for the Boeing GBI (Ground Based Interceptor) program. It was used as the booster in tests of the GBI's EKV (Exoatmospheric Kill Vehicle) before the purpose-designed booster became available. A total of 10 PLVs were launched in the first 10 EKV flight tests of the GBI program between June 1997 and December 2002 (for additional details, see GBI article).